DDI System, provider of ERP software for wholesale distributors, announced the release of Inform eCommerce Pro, a flexible eCommerce platform for both B2B and B2C retail shoppers. 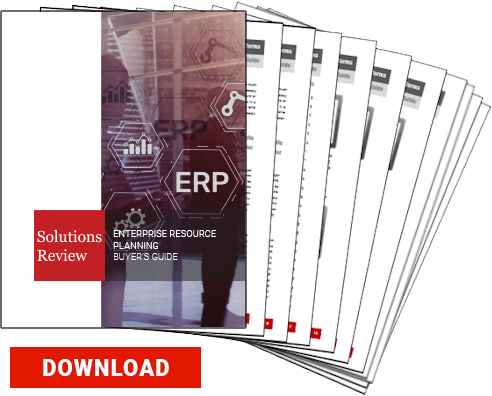 The new release is a highly customizable technology designed for easy deployment, supported by Inform ERP’s embedded product information management. “No technology is having a greater impact on wholesale distribution than eCommerce. Buyers are now online, driven by the wealth of information, effective search, and mobile devices. Evolving distributor strategies must accommodate this online shift, supporting web-savvy customers with the option to research, compare, and purchase with a click, as well as via in-store visits,” said Adam Waller, DDI System CEO and founder. According to the announcement, DDI’s new Inform eCommerce Pro gives distributors full control over the look, content, and functionality of their website. Direct connectivity with Inform ERP provides real-time, customer-specific pricing and branch-level inventory. Live order, invoice, and sales history inquiries provide a reliable self-service experience on any device. Inform eCommerce Pro leverages the Magento® Commerce Cloud open source platform. The solution, combined with DDI System’s integrated services, allows distributors to easily and affordably deploy robust B2B and B2C sites. The out-of-the-box template provides industry standard site navigation, filtering attributes, multiple images, descriptions, specifications, related product recommendations, customer reviews, and attachments. The Magento Marketplace offers many eCommerce feature extensions and hub of professional developers to help distributors customize and add functionality. “We’ve been incredibly satisfied with Inform eCommerce. It has given our business the ability to have the flexibility and control over our storefront that we could have never imagined. It’s brought us new customers, retained existing accounts and really, just been the all-around best investment we made for our business aside from the Inform ERP Software itself. This next-generation platform will deliver on a more modern selling strategy and bring our business into the next phase of growth. And for that, we could not be more excited to be partnering with DDI,” said DDI client Ron Andrade from Jansen Ornamental Supply. Inform eCommerce Pro includes the Inform ERP Product Information Manager (PIM). The PIM serves product content to the eCommerce platform, as well as Inform ERP screens, printed price quotes, reports, and Inform mobile apps. Inform ERP integrates content from trusted partners including Trade Service, Summit, Lights America, XO Lights, Unilog, Computer Pundits, Essendant and more. In addition, the new product will give users advanced features including zoom-friendly images, product quick hover, saved wish/shopping lists, abandoned cart notifications, site visitor analysis and more.